During the Western Australian gold boom of the 1890s, the low-lying city of Perth began to be transformed by elaborate, architecturally designed, multi-storey buildings including hotels or licenced premises. In Perth there was one hotel or pub for every 73.6 adult males (pubs were male-dominated establishments). The typical pub of this era was often built on a corner block with the entrance to the public bar on the corner and the door to the hotel proper off one of the streets. In 1902, the original two storey Rosemount Hotel was constructed in brick and iron, in the Federation Filigree style. 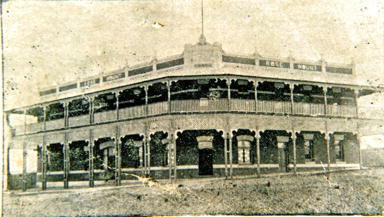 The hotel featured a continuous decorative timber verandah on both levels, with bedrooms opening onto the balcony. It was strategically located at the junction Fitzgerald and Angove Streets, North Perth – two important transport routes. The newly founded suburb was to become increasingly important in terms of its amenities and as a place where people would pass through to access adjoining northern streets and suburbs. 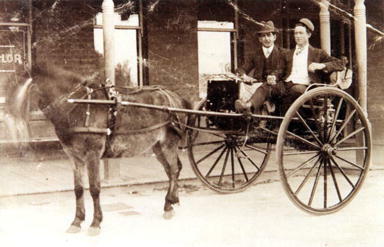 The Rosemount Hotel was a social and gathering place for the community and visitors from the goldfields, with a variety of entertainment on offer. On Saturday 1 September 1906, a log chopping competition was held in the hotel grounds, with the prize being a gold medal and sweepstakes. In 1910 the Hotel attracted negative attention when the publican was fined for selling poor quality potato spirits in place of rum. From 1919 -1922 the Rosemount Picture Gardens operated behind the hotel. The venue was also used for public meetings. One such meeting reported in The West Australian on 27 January 1922 involved local residents complaining about the terrible state of the local water supply. A gentleman held up a glass of filtered but still yellowish looking liquid. A comment was yelled out “It’s like a shandy” and the member for Leederville remarked that “it smells, and with apologies to the ladies he would seriously use the word ‘stink’ ”. The Picture Gardens were reopened sometime between 1934 and 1935 by the Rosemount Theatre owners (site 12) who leased from Anastacia Lakey, mother of Robert Lakey the publican of the Rosemount Hotel. The Rosemount Picture Gardens remained in business until 1950. 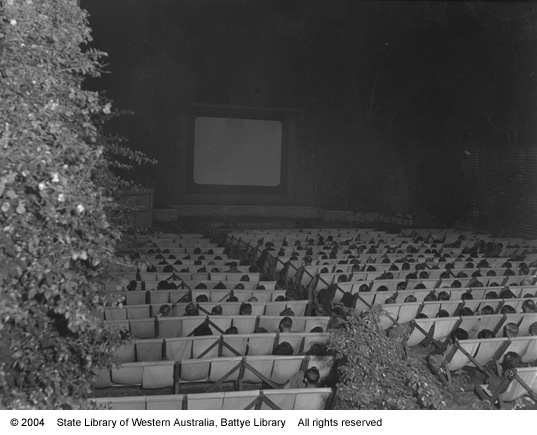 The following image shows one of the many picture gardens in Perth, at the Windsor in Nedlands, in 1950. In 1937, the Hotel was extensively renovated in the art deco style at a cost of £12,000. Works included the addition of a two-storey wing including six new bedrooms opening to the verandah and upmarket fittings designed to offer ‘the utmost in comfort to locals’. The Daily News reported that the most modern beer cooling system in the state had been installed at the hotel as part of the works. The Rosemount Hotel has remained as a continuously licensed and operating hotel for over a century, providing a social venue and meeting place for the local community. More recent renovations resulted in upgraded facilities including the Four5Nine Bar and Lounge, The Rosemount Backyard (beer garden) and the main bar. Today it is a popular live music venue and meeting place and attracts a variety of customers including local families. 8292B/24578-2 Windsor Picture Gardens, 1950. Sourced from the collections of the State Library of Western Australia and reproduced with the permission of the Library Board of Western Australia.